You shouldn't text and drive, but iOS in the car is aiming to make phone usage on the go a little less deadly. Powered by Siri—with updates including integration for settings, and (Bing-powered) web searches as well as 3rd party apps like Twitter, and Wikipedia—iOS in the car is about as close to an Apple vehicle as you're going to get. It seems promising and details are sparse, but the system is probably little more than piping your phone to a custom dashboard display, so all the real heavy lifting will fall on Siri. 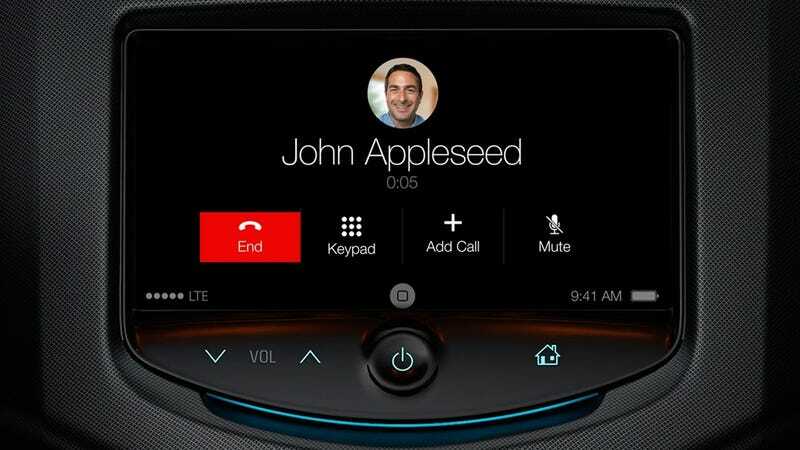 You're not going to be able to use it quite yet though; you'll have to wait until 2014 when compatible cars with the right kind of built-in screens start hitting the market, but Apple's already got some heavy hitters on board. Now if only it'd drive for you too. But no word on that...yet.